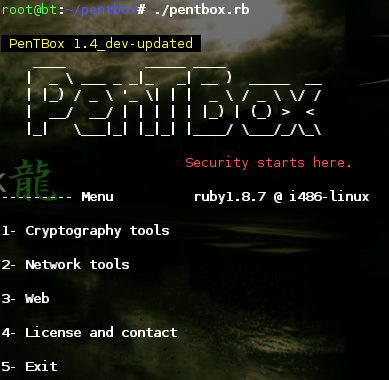 PenTBox, a security framework written in Ruby and multiplatform (actually working even on iOS and Android!). - GNU/GPLv3 License. Free in freedom and in price. - Multi-platform (Ruby: GNU/Linux, Windows, Mac OS, *BSD, iOS, Android, …). - Compatible with Ruby and JRuby. - Multithreading (native threads in Ruby >= 1.9 and JRuby). - Doesn’t require additional libraries (non standard are included). - Modular (easy to expand and customize). You may like to talk about the tool.